Umesh Baveja, founder-chairman of RAHI (Regional Aviation Holdings International), will never forget his milestone 50th birthday. Life, as he knew it ended that day, as he lay on the floor at Arthur Road jail (Mumbai), among rows of under-trials with space of less than 3x7 feet per person. He, and his chartered accountant, remained there for 180 days from 22 September 2014 until 21 March 2015. Mr Baveja was a victim of the vicious machinations of Infrastructure Leasing & Financial Services (IL&FS) to gain control of his company, by converting a civil dispute into a criminal matter. This is probably the worst of the horror stories about IL&FS’s misuse of State machinery and another case study of how the legal system can be exploited by powerful corporates with malevolent intent. So, who was Umesh Baveja and how did he get embroiled in IL&FS’s machinations? A former vice-chairman of Cairn Energy, he is a lawyer, management graduate and alumnus of IIT-Delhi and counts RBI governor Raghuram Rajan and civil aviation minister Jayant Sinha among his college-mates. Mr Baveja turned entrepreneur through a company called Comet Infra, which became RAHI in December 2009. RAHI had the vision of developing 99 regional airports by 2025 to serve industry clusters in smaller cities. Earlier that year, Ramalinga Raju of Satyam Computers had famously confessed to India’s biggest corporate fraud and, in the resolution that followed, IL&FS acquired its infrastructure company Maytas -- later renamed IL&FS Engineering and Construction Company Limited (IECCL). Since Maytas was already developing regional airports, such as Gulbarga and Shimoga in Karnataka, IL&FS noticed Mr Baveja’s ambitious aviation infrastructure company soon after. IL&FS sought collaboration with RAHI, and also agreed to a minority holding of 40%, even though it had its own plans to develop airport infrastructure as a portfolio. A joint venture (JV) between RAHI and IL&FS Transportation Networks Limited (ITNL) was signed in March 2010 and the company formed by the end of the year. But ITNL and RAHI began working together on the airport projects even earlier. RAHI acquired the languishing Shimoga and Gulbarga projects from IECCL as its first two, privately developed, greenfield airports. Several payments were made to various entities for work done prior to the formal agreement. These included payments to IECCL (for the Gulbarga airport) and Comet group company (Rs4.5 crore for development expenses). RAHI was paid a project management fee for developing Gulbarga airport which was set up as a SPV (special purpose vehicle). 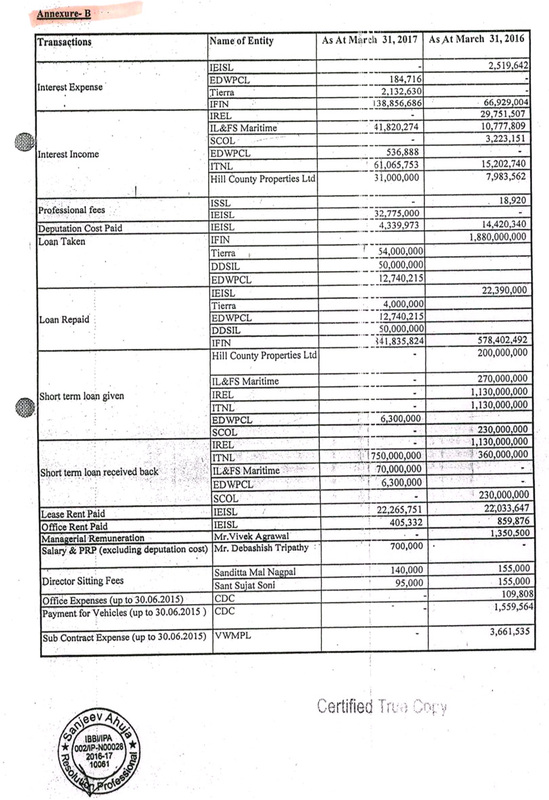 These payments were made from the equity capital of Rs30 crore brought in by RAHI and Rs20 crore by ITNL. 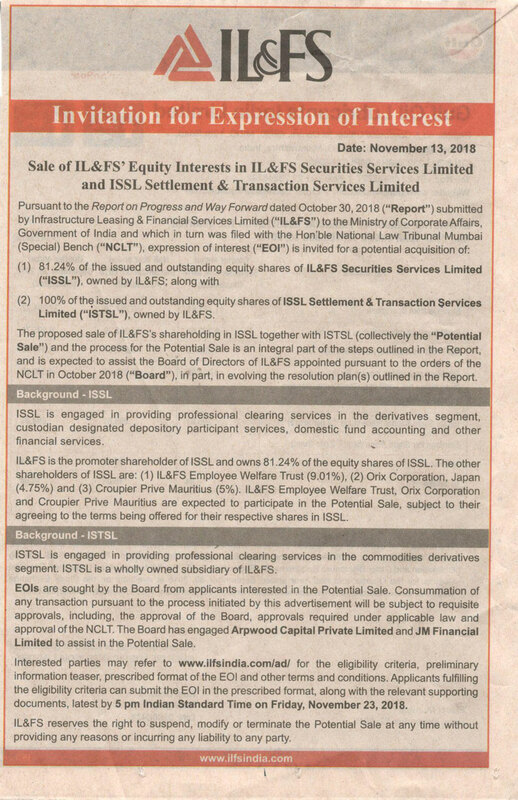 In line with IL&FS’s template, its financial arm, IL&FS Financial Services (IFIN), was to syndicate the debt, which it did through a consortium led by Bank of Baroda (BoB), for a hefty fee. According to Mr Baveja, the pace of development and its future potential enhanced RAHI’s value. A valuation report by SPA Capital had then valued RAHI at Rs600 crore. While Mr Baveja was flying high and even planned a regional airline (in 2012), his success was souring things with IL&FS which now wanted majority control. In the past, IL&FS has used its enormous clout to unilaterally change equity holdings or cut partners out of projects (this has been documented earlier). Naturally, Mr Baveja resisted; but he didn’t realise how malicious IL&FS could get. Ramachand Karunakaran with Mukund Sapre managed the venture with RAHI. IL&FS’s strategy was to squeeze RAHI financially while harassing it from multiple directions. Mr Sapre, who was its nominee on the board, would not attend board meetings when the disputes began. His presence was necessary for approval of further capital injection. The financial squeeze naturally delayed projects and led to pressure from the government. Eventually, things reached a point where RAHI and ITNL decided to part ways. But it wasn’t so simple. IL&FS did not plan to let the project go. It used its influence with BoB to halt the disbursement of sanctioned payments to RAHI. MD Mallya, who was the BoB chairman then, has not responded to my message seeking his comments. IL&FS blocked RAHI’s attempt to seek arbitration against IECCL which was stalling its capital raising plans. It also lobbied with the Karnataka government to take over the projects from RAHI (with a view to getting them back later). Having starved the Gulbarga project of funds, it got Corporation Bank to declare it a wilful defaulter. At the same time, IL&FS misused its vast resources to get IECCL to game the judicial system to block RAHI’s attempt to take the issue to arbitration, as per the contract. Its petition was dismissed by the Karnataka High Court on 23 July 2013; it approached the Supreme Court seeking a stay on the High Court’s order. The apex court dismissed it on 23 August 2013. Undeterred, IL&FS went back to the Karnataka High Court with a review petition which was also dismissed on 22 November 2013. Given the expense of legal proceedings in India, this strategy is aimed at coercing the capitulation of financially weaker entities. In this case, RAHI was nicely cornered by starving it of money. Even when an arbitrator was appointed, ITNL blocked payments to the arbitrator and went on to file a petition before the company law board. Another, now-discredited, bank chairman was used to threaten Mr Baveja to fall in line. I have perused an exchange of angry emails between Mr Baveja and Mukund Sapre, which corroborate much of this. Finally, in March 2014, ITNL initiated criminal proceedings against Mr Baveja and others (including his chartered accountant who was also jailed) on the basis of a report commissioned by KPMG. The role of auditors and lawyers, and their many conflicts of interest, is a matter that requires strong action by our reluctant regulators. The report questioned several approved payments made by RAHI, helped buttress IL&FS’s charges and, according to Mr Baveja, left out several important facts. The scope and objective of the KPMG report was not told to him, or whether it was even an audit under accepted accounting principles. Mr Baveja says, a full audit of RAHI and the two project companies from inception to March 2013 has given them a clean chit; but that report was ignored. The Bandra-Kurla police station is conveniently located a stone’s throw from IL&FS’s grand corporate headquarters. On a complaint by IL&FS, the Mumbai police zipped off to Bengaluru to arrest Mr Baveja and his chartered accountant. Although the magistrate initially denied police custody on the grounds that it was a civil dispute, IL&FS piled on the pressure at every level (including at the sessions court) to ensure that bail was denied for four months. Stunningly, even after bail was granted, Mr Baveja was kept in jail for two more months by rejecting his sureties on technical grounds, such as the fact that assets secured against bail were not located in Mumbai! This, in a country where film-stars stashing arms for a serial bomb blast get furlough at will, and a security guard who murders the daughter (Pallavi Purkayastha case) of a high profile IAS couple, can vanish from jail. What is outrageous, in the light of IL&FS’s subsequent financial collapse, is that its attempt to teach Mr Baveja a lesson was at a big financial cost to itself! When RAHI failed, the Karnataka government took over the projects, causing a loss of Rs45 crore. There was no internal inquiry. Ramanand Karunakaran, who was part of Ravi Parthasarathy’s close cabal, and Mr Sapre, who was made managing director of IECCL, resigned only recently. Accordingly, I have asked for, and perused dozens of emails between Mr Sapre and Mr Baveja and others which tell a different story. All IL&FS related dealings have multiple payments to multiple related entities, favoured contractors; it makes no sense to get into the messy details, except to say that they probably need a full, independent audit. 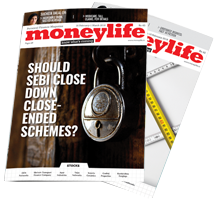 I also spoke to Mr Kotak to find out what he planned to do on various such allegations involving several IL&FS group entities. He said that the serious frauds investigation office (SFIO) would go into allegations of wrongdoing and worse, while the board headed by him is primarily mandated to find the best possible solution to the financial debacle caused by its massive outstanding debt. The tragedy is that the consequences of IL&FS’s machinations remain intact. These include the onerous bail conditions imposed on Mr Baveja, such as regular trips from Bengaluru to Mumbai, to report to the Bandra-Kurla police. His bank accounts also remain frozen for over four years. Is it any wonder that people are still unwilling to talk about the humiliations they faced on falling out with IL&FS? 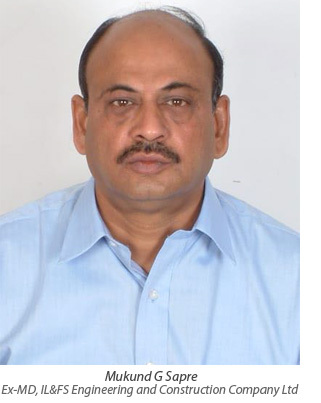 A senior IAS officer, who headed Tamil Nadu’s road development work, was blocked from his office by company security guards on the instructions of Ravi Parthasarathy. He is still reluctant to talk about it. So, what can one expect from those outside the powerful protective circle of the IAS? Months after the systemic turmoil caused by the IL&FS scandal (banks and lenders are expected to lose over Rs30,000 crore) there is no action against the crony cabal, headed by Ravi Parthasarathy, who ran this company for 30 years. They have been allowed to resign and go away, while the Union government is busy with highly controversial actions with regard to the banking regulator as well as the Central Bureau of Investigation (CBI). I urge the current and ex employees (those who did not join by influence of some govt servants) of IL&FS to start writing about their experience with IL&FS. Govt has made another mistake of appointing IAS men to correct the problems of IL&FS. Many IAS men and women have been part of IL&FS earlier, and have enjoyed the largesse, willingly contributing to the loot of IL&FS. If these clerks were capable, our PSUs and govt run enterprises would not always be in the red. IAS men and women are known to be incompetent, incapable and corrupt. They will try and save the skin of the board members and Ravi Parthasarthy by weaving stories and instituting 'reforms'. IDFC is a complete duplicate of IL&FS and will go the same way. Like IK&FS, its staffed with sons, daughters, wives, sister, brothers and other relatives of IAS (and other babus') men and women. Its time that all IAS men/women who worked with IL&FS need to be punished along with the board. Why is Ravi Parthsarathy not in jail or on bail ? 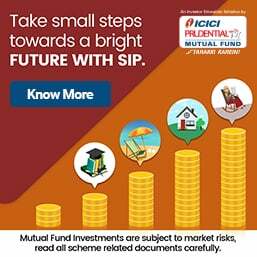 Is there someone connected to Government that he can expose as having shared in ILFS spoils ? May be this case is used to cleanse the nexus of, banker, executive politician and judiciary harming public interest. Will the authorities give justice to the aggrieved and exemplary punishment to all involved. IL&FS ex-management is curse on humanity and criminal of Indian economy and society. All of them should be punished by victims. Who will return the days spent by Baveja in jail for no crime? SC has no time for real victims of manipulated system. Ravi Parthasarathy knows how to manage people in authority with egg, peg and leg at his disposal, so no surprise in his power to destroy those who question him. Sad. What were all those "eminent" directors doing on ILFS and group companies doing when these machinations were taking place? They were all enjoying the loot. If you can manage to get CTCs of these people, along with non-billable perks, you will know how IL&FS has been a parking ground for these people, babus and their relatives. Reads like a horror story. PMC and governments have been following the same strategy aimed at coercing the capitulation of financially weaker entities e.g. NGOs because of the expense of legal proceedings in India . This is my experience for the last two decades due to which cases remain pending for decades. And this is inspite of the fact that most lawyers are not charging us their full fees being in public interest. Even the other costs kill us. The new Board of IL&FS should apply itself to these issues to restore the faith of the public. It is indeed a horror story. Where did the stolen money go, how does the Government hope to revive matters, especially for projects of strategic importance?